This is GREAT story about tolerance, forgetting your differences and living together in peace. We so called “civilized and superior” humans should take a lesson from this story and learn from the animals how to better relate to one another! Thanks Alan for sending it to me. the tiger have forged an unusually strong bond. 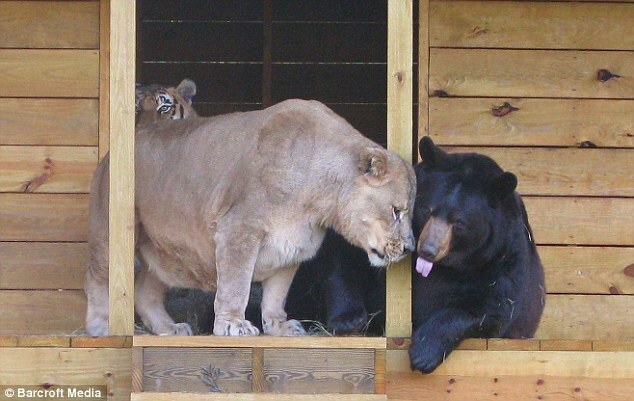 the three friends were only cubs at the time, barely two months old. can now witness first hand their touching relationships. ‘We didn’t have the money to move them at first,’ said Diane. zoo areas where the public couldn’t really get a good look. and Leo, who is also 350lbs, messing around like brothers. 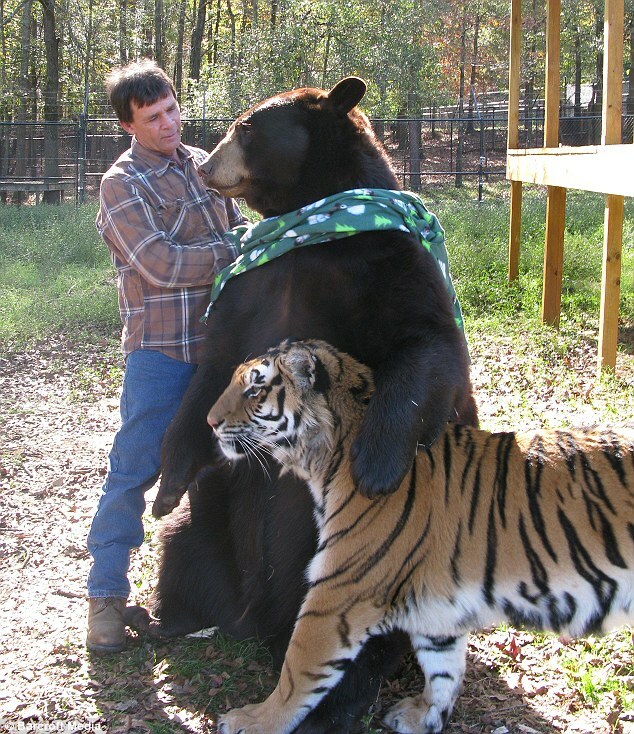 ‘Baloo and Shere Khan are very close,’ says Diane. or swipe of their paw, they are very relaxed around each other. ‘They eat, sleep and play together,’ said Jama. ‘At the moment they are getting use to their new habitat. 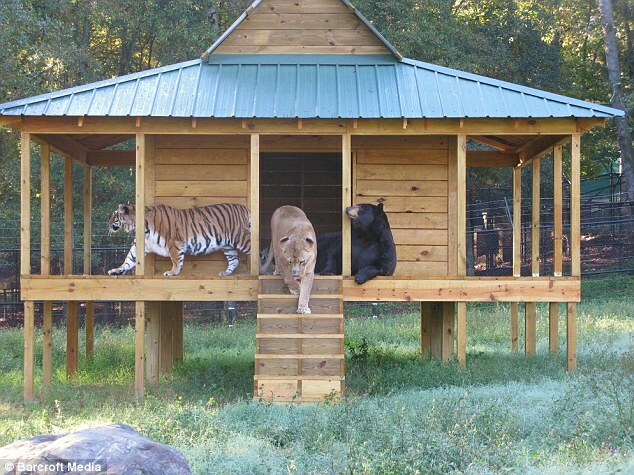 Learn more about Noah’s Ark Animal Rescue and Children’s Center on their website.